Proceeds from the Charitable Foundation Gala are awarded in immediate grants to the Boys & Girls Clubs of Carlsbad, Oceanside, San Marcos and Vista; The Moonlight Cultural Foundation; Sound Start; and Casa de Amparo. 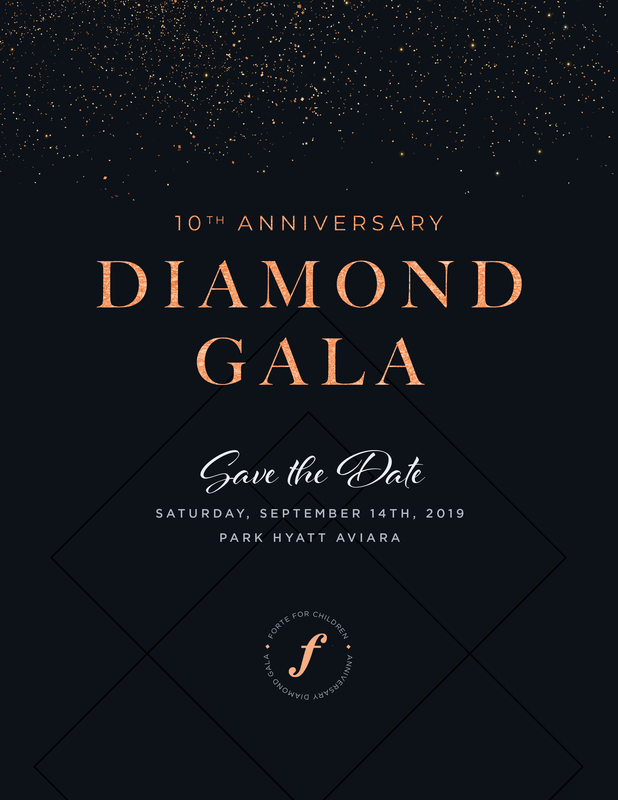 DEI’s Forte for Children Foundation is holding its TENTH Annual Charity Gala Saturday, September 14th, 2018 and will be held at the beautiful PARK HYATT AVIARA, located at 7100 Aviara Resort Drive, Carlsbad, CA 92011. The gala funds are used to support disadvantaged youth through many programs including music education and therapy. Since its inception in 2001, Forte for Children has raised millions to support local youth. Last year, Forte for Children distributed $448,600 to its key beneficiaries through their annual gala. The Charitable Foundation Gala is a black-tie event that begins with a silent auction/reception, drinks, and hors d’oeuvres. Guests then enter the Ball Room for a three-course dinner, live entertainment, performances from the Boys & Girls Clubs and a live auction. The gala is the main fundraising event for Forte for Children, allowing them to maximize, and some years match, the funds raised through the help of the generous donors attending the event. Download our 2019 Gala Save the Date PDF here.